Brandy Norwood wowed in a particularly colorful ensemble at the LA premiere of Haunted House 2. The actress/singer wore a color-blocked Fausto Puglisi dress with a neon pink top, a turquoise skirt, and a black waistband. As if all those colors weren’t enough, she finished the look by showing off her musical foot tattoo in a pair of Gucci leopard-print pumps (available at Nordstrom). 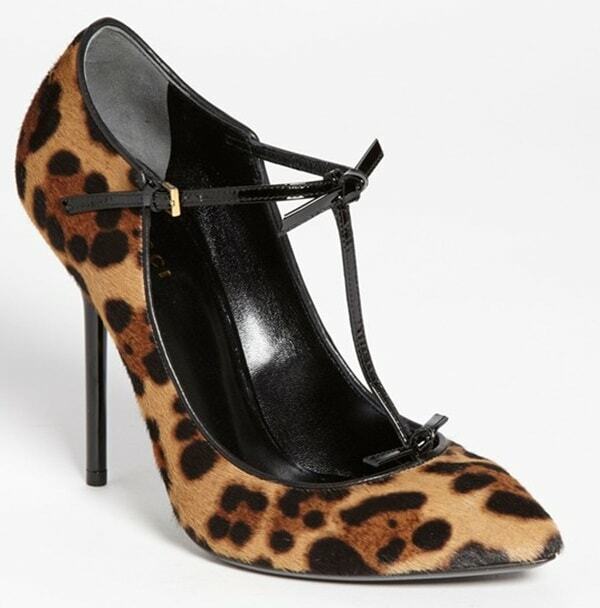 These shoes should totally clash with the dress, but somehow the overall look worked. Brandy’s glowing skin and killer smile definitely helped! It was only two days ago that Brandy and her fiance, Ryan Press, called off their engagement, but the 35-year-old was all smiles. Oddly, it looked like she was still wearing an engagement ring. Brandy also showed off a large tattoo covering the top of her right foot. It symbolizes her music career and features a vintage microphone in front of a rose that is surrounded by music notes. What do you think of Brandy’s ensemble? Just right or too much? We’ve previously spotted Katy Perry in the exact same color-block ensemble! 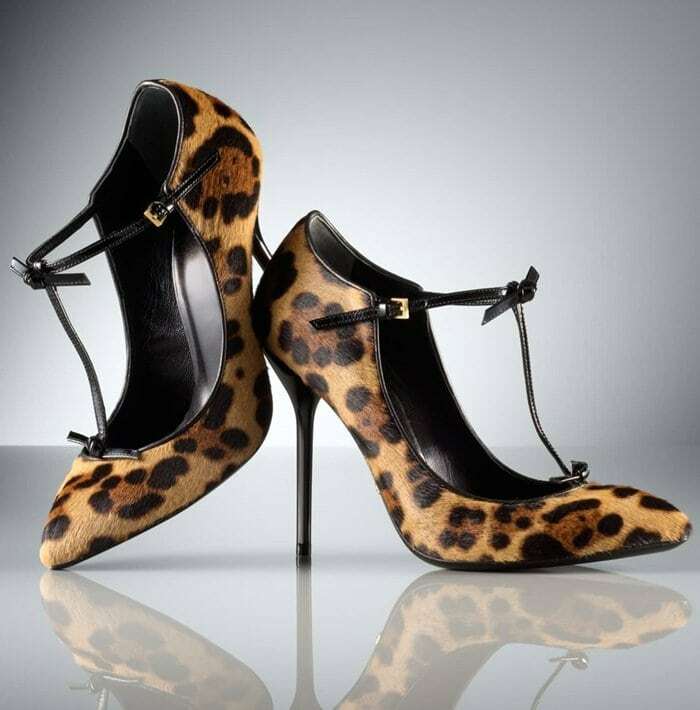 Her Gucci pumps are elegant yet sassy. It’s no wonder they’re versatile enough to work with the singer’s outfit! 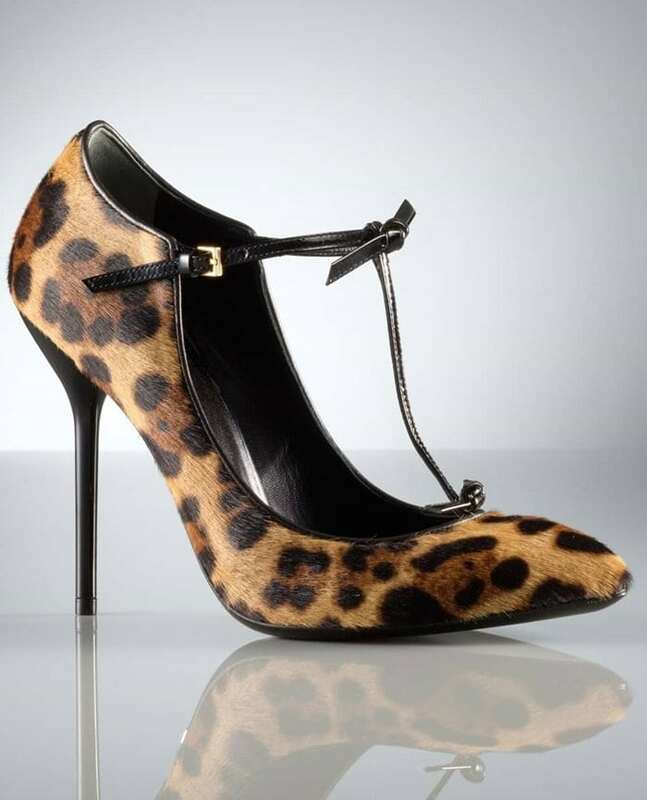 Trim twists detail the patent-leather T-strap of a leopard-patterned pump crafted from lush calf hair with a polished Gucci logo plate under the arch.